Our team offer high-quality scaffolding to assist with all kinds of domestic construction projects, for example, private builds, extensions, conversions and exterior property maintenance. If you are carrying out a building extension project for a domestic property and need access to quality and reliable scaffolding contact us today. We are happy to offer scaffolding equipment for projects both big and small. We also cover social housing projects and Commercial work. Our service area covers Leeds, Yorkshire and the UK. The scaffolding equipment we offer varies from system scaffolding to proprietary staircases and temporary roofing structures. Our excellent local reputation is based on the positive relationships we have built with returning customers. We offer a personal service, and we’re always thinking about the customer to ensure that we provide the right scaffolding solution that serves your requirements. 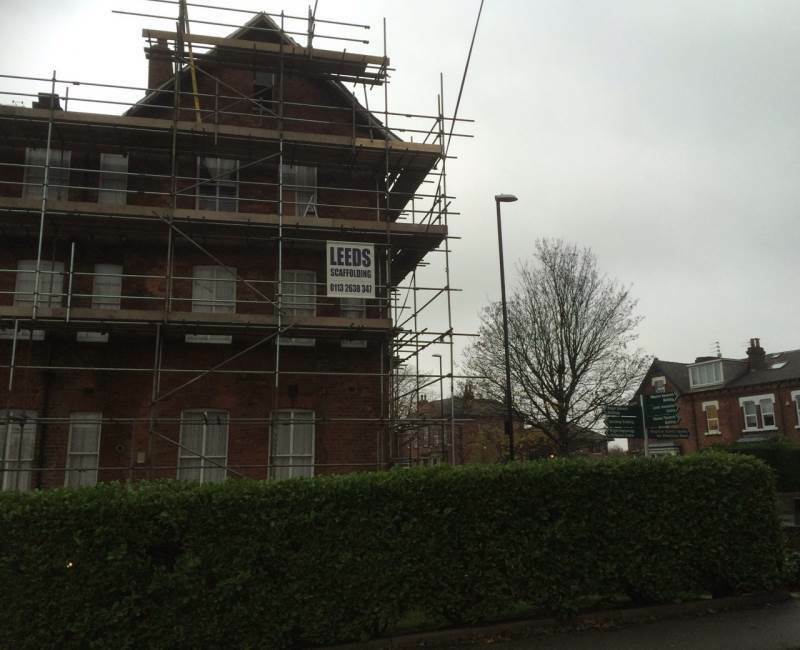 Leeds scaffolding has extensive knowledge of the access industry. This allows us to provide our customers with a consistently professional level of service and expertise. So if you’re looking for a quote get in contact with us today about your project.